The field was set. Players were motivated. Teams were ready. 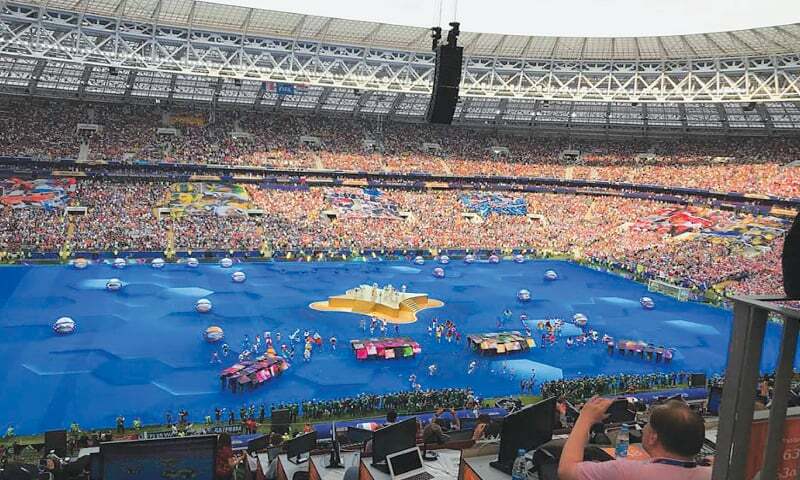 The FIFA World Cup had came to Russia for the very first time. 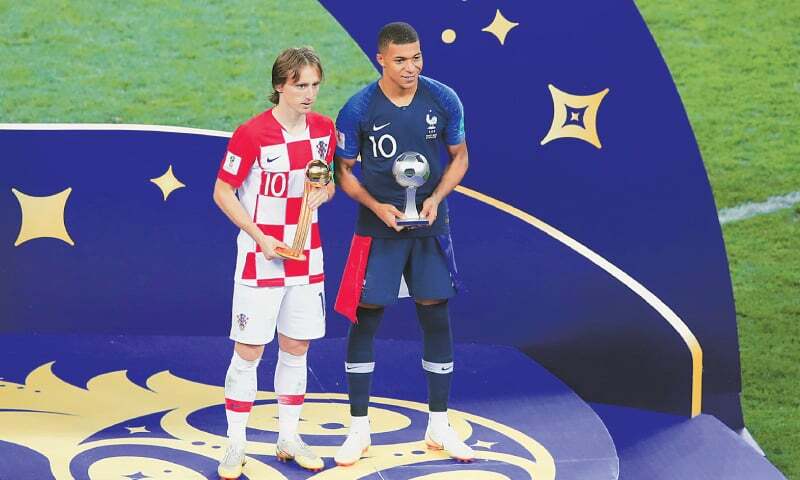 The 21st edition of this tournament proved to be a roller coaster ride as 32 teams went neck-to-neck for 31 days from June 14 to July 15, 2018, to decide who the champion of football was. One by one, big names of football faltered and saw their run to the final end. Portugal, Argentina, Mexico, Japan, Spain, Denmark, Switzerland, and Columbia were sent home during the Round of 16 matches. During the quarter-finals, Uruguay, Brazil, Russia and Sweden could not save themselves. This article looks at the shocking defeats, upset wins and other statistics from the recently concluded FIFA World Cup 2018.
saw their run to the final end. 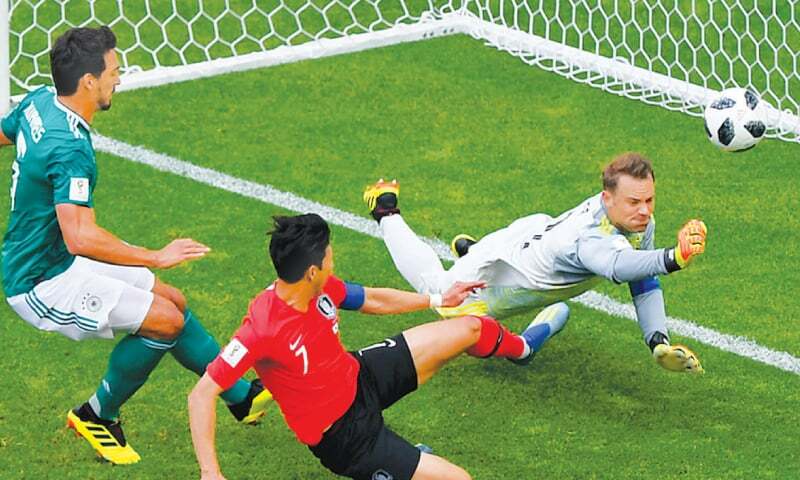 The biggest upset of the FIFA World Cup 2018 happened when defending champions, Germany, were eliminated from this tournament by South Korea. They were beaten 2-0. The other shock, however, was to see all South American nations crumble and tumble. Brazil (Champions in 1958, 1962, 1970, 1994, 2002); Argentina (Champions in 1978, 1986); Uruguay (Champions in 1930, 1950) were sent packing for home during the Round of 16 and the quarter-finals. Where the upset defeats were too much to handle by football fans, there were some wins by minnow teams that brought a smile to everyone’s faces. Croatia, who played their first-ever final match this time, defeated Argentina 3-0 during the group stage. They did reach the semi-final of the FIFA World Cup 1998, but never played the final. It was a shock to see Argentina not being able to produce any counter-offensive against a relatively easy team as that of Croatia. The other upset win came when Mexico, during their group match, defeated Germany, the defending Champions, 1-0. There were certain matches during the FIFA World Cup 2018 that showed one team’s dominance over their competitor. The opening match of the tournament between Russia and Saudi Arabia was just that. Hosts, Russia, scored five goals while Saudi Arabia could not even produce one. The goal scorers for Russia were: Yury Aleksandrovich Gazinsky (12th minute), Denis Dmitriyevich Cheryshev (43rd and 91st minute); Artyom Sergeyevich Dzyuba (71st minute) and Aleksandr Sergeyevich Golovin (94th minute). 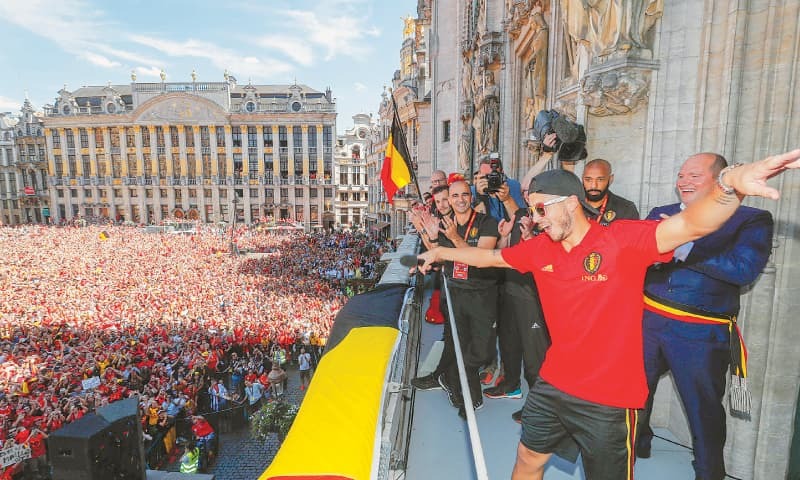 The group match between Belgium and Tunisia was another such match which Belgium easily won, 5-2. Although Tunisia’s Dylan Daniel Mahmoud Bronn scored in the 18th minute to take an early lead, Belgium’s Eden Michael Hazard, Romelu Lukaku and Michy Batshuayi-Atunga ensured their team keeps the upper hand. During the group stages, England, the 1996 World Cup Champions, showed absolute dominance against Panama. England scored six goals in 54 minutes. Where England’s John Stones scored in the 8th and 40th minute, Jesse Ellis Lingard scored during the 36th minute. Captain, Harry Edward Kane scored with two penalties during the 22nd and 46th minute. He scored a third goal during the 62nd minute. Panama could manage to score only one goal when Felipe Abdiel Baloy Ramírez put the ball in the nets during the 78th minute. During the Round of 16, football fans were taken on a ride they would not soon forget. France and Argentina were eager to enter the quarter-finals. Their stakes were at the highest. Both teams gave their best during the 90-minute game play. France’s Antoine Griezmann scored the first goal with a penalty. Argentina’s Ángel Fabián Di María and Gabriel Iván Mercado scored during the 41st and the 48th minute to give Argentina a 2-1 lead. However, France’s Benjamin Pavard levelled the scores, 2-2, during the 57th minute. France’s Kylian Mbappé Lottin used his lightning speed and dribbling to score two goals in the 64th and the 68th minute. With France enjoying a 4-2 lead, Sergio Leonel Agüero could only manage to score a consolation goal during the 93rd minute. France progressed into the quarter-finals while Argentina returned home. During the knockout stages (including the round of 16, quarter-finals, semi-finals and final) a total of 16 matches were played, out of which the results of four matches were decided through a penalty shoot-out after the scores were levelled following full-time and 30-minutes of extra time. During Spain vs Russia match, Russia won the penalty shootout 4-3; Croatia won it 3-2 against Denmark; England progressed into the tournament by beating Columbia 4-3, while Croatia advanced into the semi-finals by beating Russia 4-3. A total of 12 own goals (OG) were scored during the FIFA World Cup 2018. Included in this list are Aziz Behich (Australia, scored OG against France); Fernandinho (Brazil, scored OG against Belgium); Ahmed Fathy (Egypt, scored OG against Russia); Edson Alvarez (Mexico, scored OG against Sweden); Aziz Bouhaddouz (Morocco, scored OG against Iran); Oghenekaro Peter Etebo (Nigeria, scored OG against Croatia); Thiago Cionek (Poland, scored OG against Senegal); Denis Cheryshev (Russia, scored OG against Uruguay); Sergei Ignashevich (Russia, scored OG against Spain); Yann Sommer (Switzerland, scored OG against Costa Rica), Yassine Meriah (Tunisia, scored OG against Panama) and Mario Mandzukic (Croatias, scored OG against France during the final). A number of records were made during the FIFA World Cup 2018. Russia’s Yury Gazinsky scored the tournament’s first goal against Saudi Arabia. During the same match, Russia’s Denis Cheryshev became the first player of the tournament to score two goals or a brace. Portugal’s Cristiano Ronaldo scored the tournament’s first hat-trick against Spain, including the goal he made from the spectacular free-kick during the 88th minute. The fastest goal of the tournament, however, came during the match between Denmark and Croatia. Denmark’s Mathias Jørgensen scored in the opening minute of the match following a throw-in. The fastest goal by a substitute was made by Russia’s Artem Dzyuba for Russia who scored against Saudi Arabia only a minute after he was substituted during the 70th minute of the match. In this World Cup, Belgium, who secured the third place, scored 16 goals in the tournament while Panama conceded 11 goals. 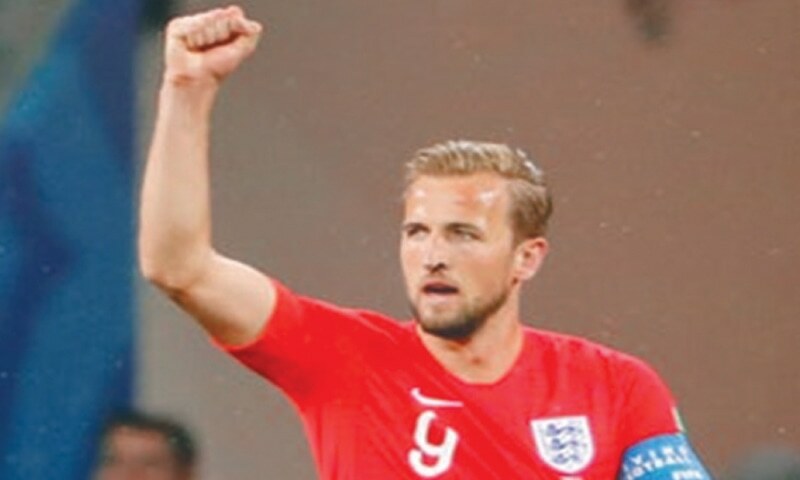 On individual basis, England’s Harry Kane scored six goals, the highest in this World Cup. Turning to players’ age, Panama’s Felipe Baloy played this tournament as the oldest player, at 37 years, to score a goal. While France, Kylian Mbappe, at 19 years, was the youngest goal scorer of the tournament. The Luzhniki Stadium, Moscow was the venue of the final and the 64th match of the FIFA World Cup 2018. France, former World Champions of 1998 were playing against first-time finalists, Croatia. The match had the final match feel to it since the whistle blew. However, Croatia’s Mario Mandzukic’s accidental header sent the ball in their own goal. His teammate, Ivan Perisic scored an equaliser during the 28th minute. Soon France’s Antoine Griezmann scored with a penalty kick. Then teammate Paul Pogba added one more goal in the 59th minute, followed by 19-year old Kylian Mbappe, who scored a sensational goal giving France a lead of 4-1. Croatia’s Mario Mandzukic did score the second goal for his team, but that was the most Croatians could do. 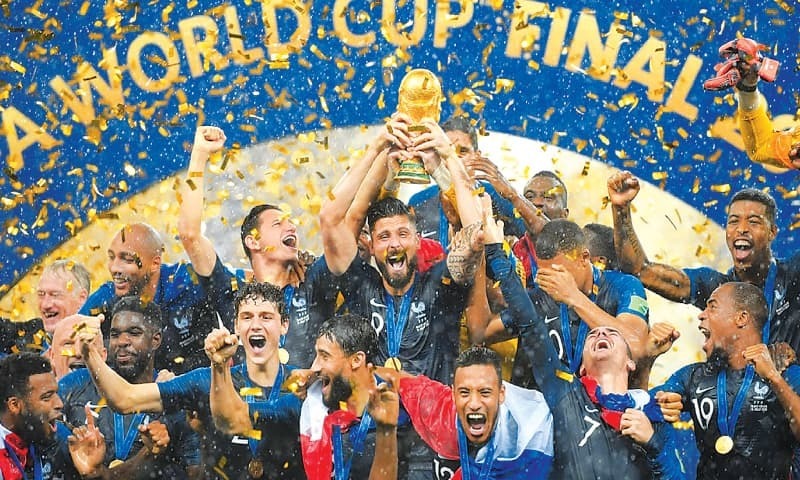 With the final whistle, France emerged as the two-time FIFA World Cup Champion.